Homemade italian dressing is our go-to when we are eating strictly paleo, easy to make and great on salad (and as a marinade for chicken). 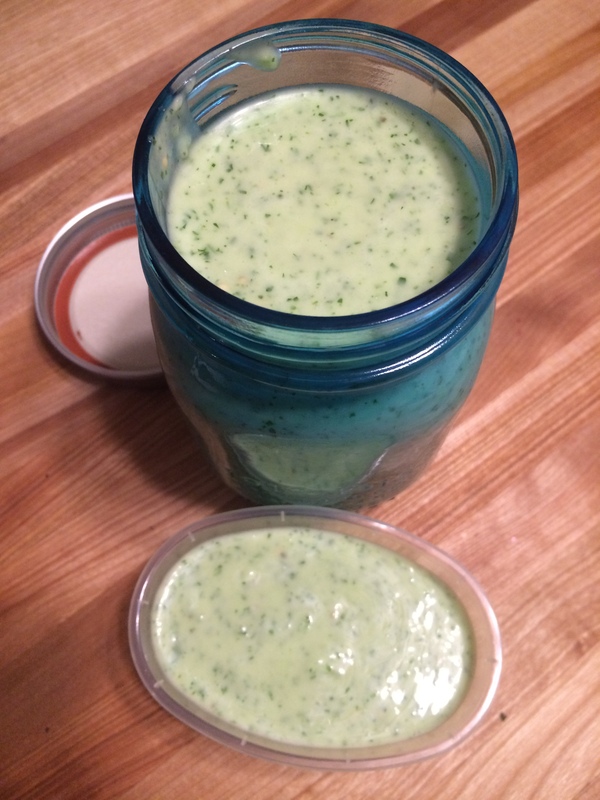 It is just as easy to make a creamy italian dressing, but I was in the mood for something a little different. Here’s a ranch recipe. I find that microwaving the lime for 5 seconds then rolling it between my hand and the counter before cutting it in half helps the juice release.